The Baxter Lead Alluvial Gold Mining precinct contains the remnants of five small-scale deep lead mines. Working at the head or commencement of Baxter Gully, the deep lead miners were working the upper portion of a buried and very wet lead. Mining at a depth of around thirty five metres required the use of horse-powered haulage whims for baling the water and raising the wash dirt from the shaft. The raised gold bearing gravels were washed in puddling machines. Further down lead, around the township of Waterloo, the lead plunged dramatically and mining had to be undertaken by companies who installed expensive and powerful steam-powered machinery. The Baxter Lead Alluvial Gold Mining precinct is of historical, archaeological and scientific importance to the State of Victoria. The Baxter Lead Alluvial Gold Mining precinct is historically and scientifically important as a characteristic and well preserved example of sites associated with the earliest forms of gold mining which, from 1851, played a pivotal role in the development of Victoria. The precinct is a rare well preserved example of the pioneering mining methods used to work the upper sections of a deep lead. The precinct is important because it has substantial evidence of the technology used still surviving in association with the mining by-products in the form of pebble and earth dumps. 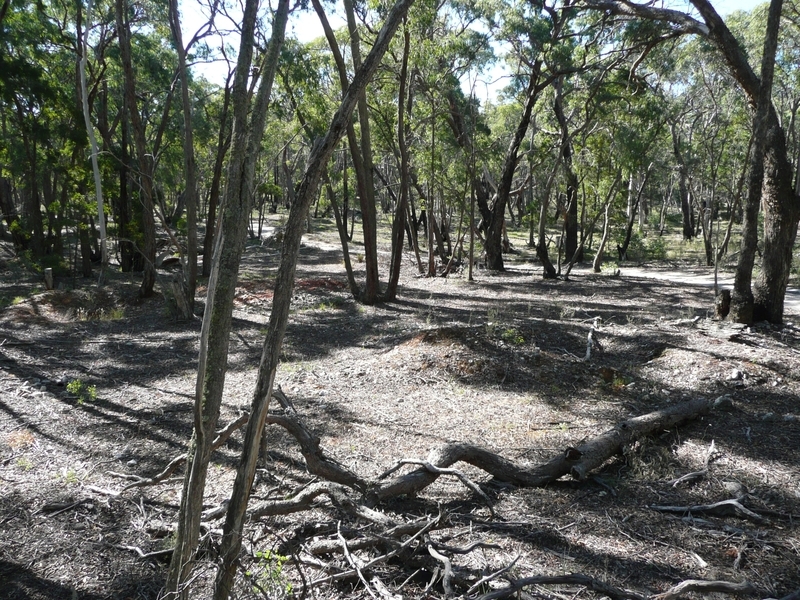 The Baxter Lead Alluvial Gold Mining precinct is archaeologically important for its potential to yield artefacts which will be able to provide significant information about the technological history of gold mining, the cultural history of gold mining and the gold seekers themselves. Baxter Lead Alluvial Gold Mining Precinct, Junction of Baxter and Blazed tracks, Waterloo, Pyrenees Shire Council. 1. 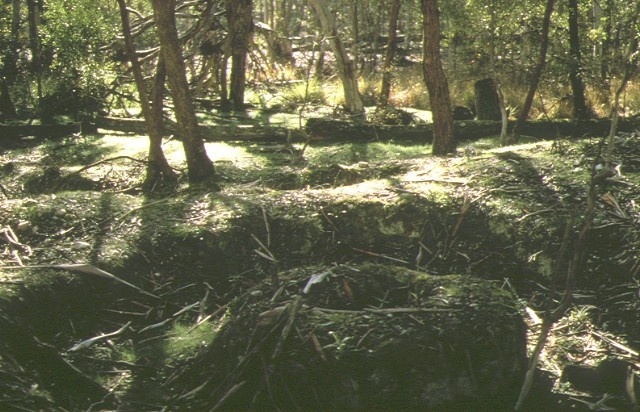 All of the Crown land including the remnants of five deep lead mines (including remnants of puddling machines, whims, shafts and earthworks), residential fireplaces, shallow alluvial workings, and any archaeological objects and deposits within a radius of 300 metres of a point with Australian Map Grid co-ordinates E147 N640 on 1:100,000 map sheet number Beaufort 7523.